The host was excellent, very friendly and knowledgable. He gave us good advice about services and activities in the neighborhood. The taxi service, arranged by the host and the driver, Kostas, were really great and a delight (highly recommended). Breakfast on the outdoor rooftop patio, in the middle of February, was a real pleasure. The property is very well appointed and breakfast provisions excellent. Excellent location in old town and a beautiful place. Both Christina and Stavros were great and provided very useful information during my stay. They also helped me to arrange a tour throughout the island. Highly recommended! 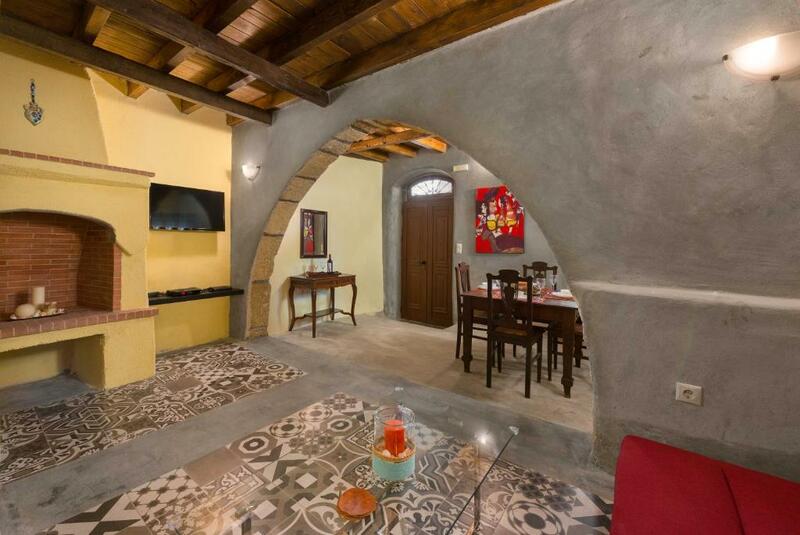 Perfect location, close to everything but still quiet, right at the center of the Old town. 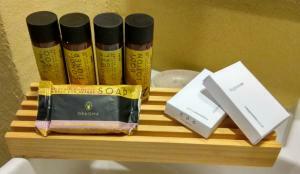 Fully equipped, with nice terrace, spacy rooms and comfortable bed. A perfect stay in a perfect old town! What’s not to like? From the warmth and care of Stavros, Kristina and Maria, to the generous breakfast supplies, to the sun on the roof terrace, everything was excellent and better than expected for the price. Everything! Spacious, central, very good facilities. This home is perfectly located within the castle walls. Easy walk from entrance. I really enjoyed the old world feel of the property... oh, the stories it could tell! You'll find large living space, kitchen, and bathroom w/shower on the first floor. Two large bedrooms are located on the second floor, each with super comfortable beds. Third floor bedroom (no bathroom) leads to outdoor patio. The fridge was filled with eggs, milk, juice, water etc. Dry cereals, tea, coffee available. The property on a whole is a good value and could easily accommodate a family. Hosts were great. They were there to greet us and were easy to contact. Friendly hosts very generous with food and drinks provided. In fabulous old town close to restaurants, shops. Fabulous old building. Loved it all. Were met at port, they booked taxi at end. All good. Super central location, but very quiet. Just minutes from lively restaurants and local sights. Stavros and Christina met us on arrival and were very caring and attentive, each day ensuring all was well with our stay. Private roof terrace, comfortable beds, everything super-clean and comprehensive breakfast provided. Lock in a great price for Cosy Keep – rated 9.7 by recent guests! Cozy Keep is set in Rhodes Town, 650 feet from Clock Tower and 800 feet from Suleiman's Mosque. All rooms are equipped with a flat-screen TV. Certain units have a seating area where you can relax. You will find a coffee machine and a kettle in the room. Cozy Keep features free WiFi throughout the property. Fountain Hippocampus is 900 feet away. The Street of Knights is 650 feet from Cozy Keep, while Grand Master's Palace is 1,000 feet from the property. Rhodes' Aquarium is 1.4 mi from here, while Rhodes International Airport is 9.3 mi away. 뀐 Located in the real heart of Rhodes, this property has an excellent location score of 9.9! When would you like to stay at Cosy Keep? This double room has a flat-screen TV, dining area and mini-bar. 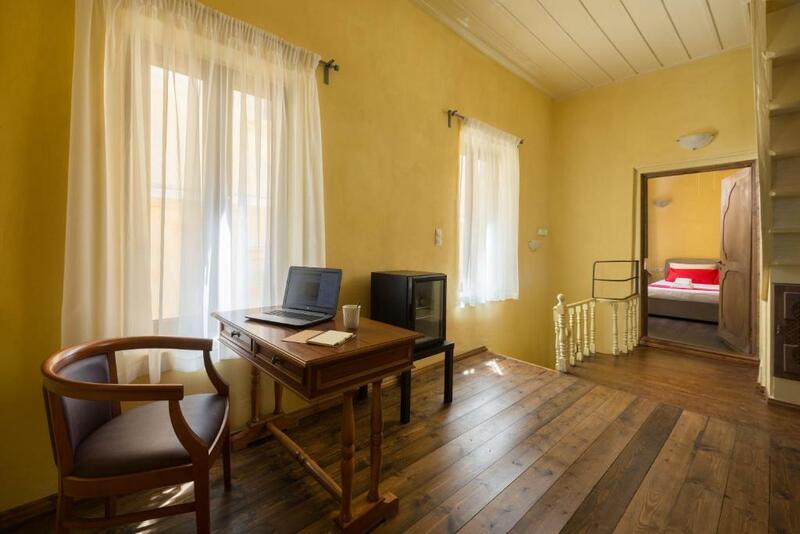 If you want to have quality vacation in a charming villa and not the "impersonal hostage" of a hotel, if youy want to live on an environment where history meets modern life for a few days,if you want to feel an other era civilization then "COSY KEEP" is a perfect choise for you. 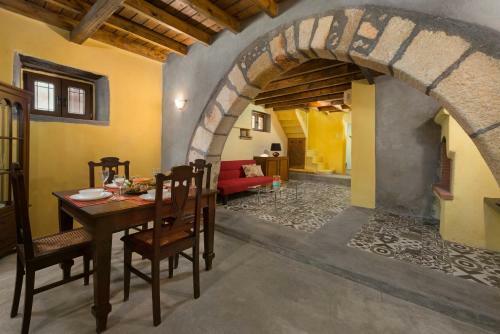 The "COSY KEEP" is a comfort and spacious villa of 140 sq.m., fully renovated, located in the heart of the Medieval District of Rhodes, very close to the Museums. It has two bedrooms, two bathrooms, living room, dining room, kitchen, office space, a terrace with nice view and an outdoor table and a terrace room with a sofa-bed. Every room is equipped with mirror, tv and clothes storage. Inside our kitchen someone will find all that is needed for a delicious breakfast. There is also free wifi and hot water 24 hours. In case you are on a gluten free diet, we may offer you gluten free products for for breakfast with an extra change, depending on the products selected by you from a variety of products we offer. All products are subject to availability. House Rules Cosy Keep takes special requests – add in the next step! Cosy Keep accepts these cards and reserves the right to temporarily hold an amount prior to arrival. Maybe put a microwave or single induction plate in the kitchen for heating food. Nothing really although a hot plate or microwave in the kitchen would help with preparing evening meals in the off season when few restaurants are open. I cannot think of anything that we did not like about the host, property or location. Nothing. This is superb accommodation. The bathrooms have hand-held showers and not a real-functioning shower partition, which would make it a bit difficult to wash your hair– you can expect a traditional euro experience :) The only outdoor space is located on the third floor, accessed by very steep steps and not really conducive to enjoying a meal outdoors. 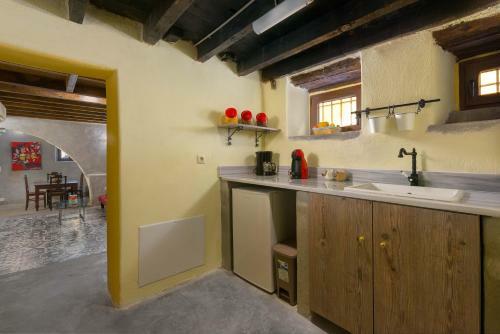 Kitchen and bathroom could be improved a bit but still it is better than most of the places in the old town. 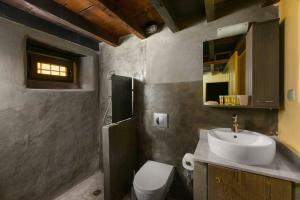 And don't forget there are two bathrooms one in downstairs and one in upstairs which is very useful. Christina and Stravros were the best hosts you can ask for - they stocked the villa with food and drink, gave great recommendations, accommodated a late checkout and even sent me off with gifts. They went above and beyond to make my trip the best imaginable. The villa is beautiful and comfortable, with three floors and a terrace, and in a perfect location to explore Rhodes. I couldn't recommend staying here more!